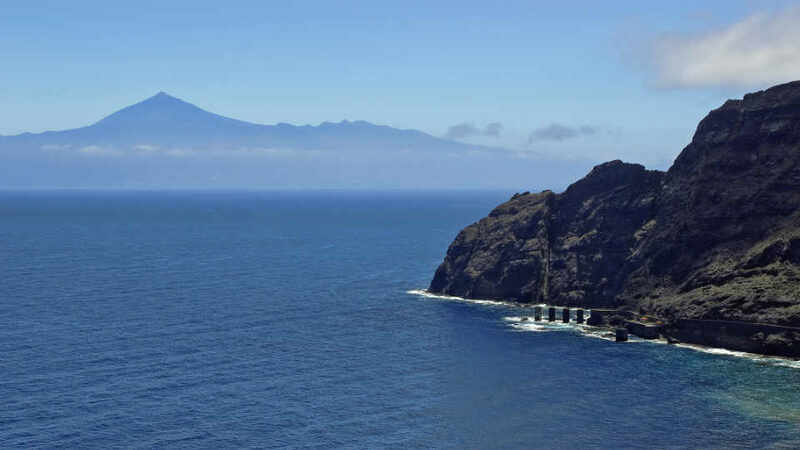 The world knows La Gomera as the untouched Canary Island with a glorious landscape. And, it is precisely for that reason that nature lovers and outdoor enthusiasts visit. It is their haven, their escape from everyday worries. With such wondrous vistas and exciting terrains, it is but reasonable to want to get to know it more. Go east and west, see the beautiful south. But, most importantly, take a sojourn to the magnificent north. In the journey, do not miss the emerald green municipality of Hermigua. Go and discover why it is a prime walking holiday destination. Lodging with Rural or Coastal Views? Why Not Both? The ancient inhabitants of the Canary Islands were collectively known as the Guanches. Like the rest of the archipelago, they, too, settled in La Gomera. Here, they thrived and lived in harmony with its fertile land. The territory now called Hermigua, together with the Agulo village, was their “Mulagua”. It meant ‘place of collection’ according to some experts. To Juan Rejón, though, it is bound to be his grave. A vital player in the eventual annexation of the Canaries, he founded Las Palmas de Gran Canaria. After his roller-coaster governorship of Gran Canaria, he then set sail for La Gomera. He was to assist Hernán Peraza, the feudal lord of the island, to put it in complete control. Unfortunately, his comrade saw him as a threat. Hence, the conquistador was murdered. In the 16th century, two settlements were founded in the municipality. Valle Alto or High Valley is where the church and convent of Santo Domingo were built. And, Valle Bajo or Low Valley is where the church of Our Lady of the Incarnation was erected in the year 1650. Hermigua’s mature agriculture industry is its bread and butter. Tourists shouldn’t think it’s only an expanse of banana plantations though. 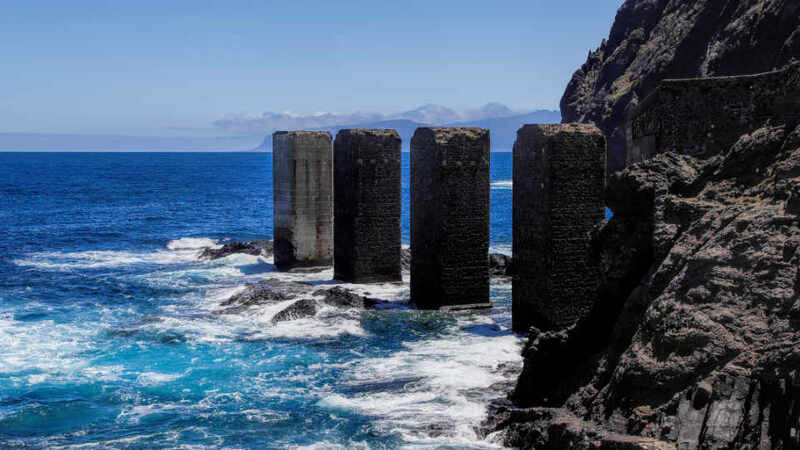 Else, they might miss one of the most captivating places in La Gomera. It’s been hailed as a walking destination, and there’s for sure many good reasons. Tourism, though trudging behind in second place, has seen a slow but steady rise. Aside from the enchanting sights, the all-year-round fantastic weather is irresistible. Summer, though, when the waves are calmer, and the mountains are warmer is most gorgeous. Also known as ‘The Twin Rocks of Hermigua,’ the Roques de San Pedro is one of the area’s leading attractions. These iconic rocks are on top of a mountain with terraced fields and vibrant abodes on its slopes. They also stand proud and mighty amongst bigger natural giants. Nothing can compare or compete with the Twin Rocks’ gate-like form. Although unlikely, a doorway to either the heavens or another world is what they seem to be. A very refreshing sight to appreciate even though they are an age-old creation. Not the average volcanic formation is what they are. Before it became a holy magnum opus, El Convento de Santo Domingo was a small church of a different name. It went through hundreds of years of evolution and growth to be the beauty it is today. The Chapel of San Pedro was the first structure in this religious complex. Built in 1598, it was a replacement to the old one that was destroyed by a flood. Then, the adjoining Chapels of Del Rosario and Santa Rita were erected. All the additions and changes gave way to its current structure. This whitewashed 16th-century ex-convent is of traditional architecture. Truthfully, it’s not one to be called extraordinary, as it is very similar to the other Canary churches. But what makes it standout, though, is its breathtaking setting. It’s in a tranquil village of palms and white houses with brick roof tiles. Fenced in by towering massifs, the natural displays are also beyond amazing. It’s not different, but it has elements that are engaging. To learn about the municipality and its people, visit the Molino de Gofio Los Telares. It is a museum with an extensive expo of Hermigua’s arts, crafts, culture, food, history, and even its floras. Tourists also need not worry about language barrier as it is an amusing audio-guided tour. 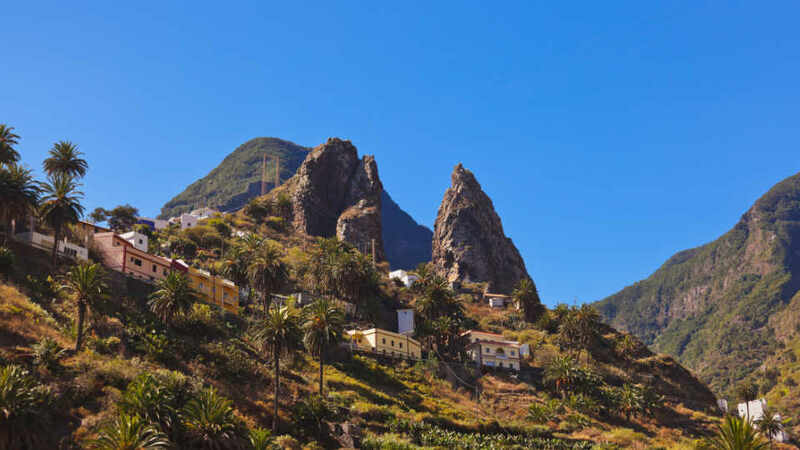 All they will need to do is have fun while taking a look at what makes the area uniquely La Gomera. The gallery is but a few meters away from the Twin Rocks of San Pedro viewpoint and the Convent of Santo Domingo. Make sure to drop by as no other place can introduce the community better. It also has four sections, so everyone will find something that will interest them. The Ethnographic Park shows the Gomeran everyday life in the distant past. Thus, essential antiques and the famous Gofio Watermill is housed in this part. The latter is the last remaining one in the whole island, which makes is extremely important. The other two sections are the handicrafts and cafe. Guests love the pottery showcased here as they are created using aboriginal techniques. They also enjoy sampling and purchasing local crafts and produces. Many get their souvenirs here as they unquestionably represent the island and Hermigua. Last but certainly not the least is the eco-orchard, farm, and botanic garden. In an archipelago known to have the best climate in the world, a thriving flora is expected. And La Gomera meets all the expectations. Aside from its traditional crops, its vast botanical inventory is also boasted here. Coastal areas are most often the most scenic places in a town or municipality. Also, it is the frequent driving force of an island or country’s tourism. This, too, is the case for Hermigua with its two scenic beaches. The raging waves from the blue Atlantic seem to be in a hurry to meet the shores of Playa de Hermigua. In contrast to the rough current in its bay, the coast itself remains serene and undisturbed. Two completely different scenes present in one beautiful display. It is also home to two places of interest that should not be missed. The four concrete towers of Pescante de Hermigua gives the beach a somewhat unique aura. They seem to have sprung from the rugged seaboard. In reality, though, they are the pillars of the loading station that was dismantled in the 50s. It’s hard for people to imagine why there was a need for such a high structure. Well, even freighters had no match against the harsh waves that batter the Hermigua bank. A crane on top of the prisms was used to unload ships as they cannot do so the ‘usual’ way. It is critical to take note that swimming in Playa de Hermigua is a bad idea. As mentioned, even ships couldn’t just dock in the jetties when it was still used as a port. It doesn’t mean, though, that taking a plunge is impossible. For a dramatic view of the coast, mountain slopes of banana plantations, and Pescante, try Hermigua’s natural seawater pool. Who wouldn’t enjoy taking a dip in a basin that offers such astounding panoramas? The powerful waves also barely get into the pool so swimmers need not worry about getting swept away. If its rougher and stronger than usual, then it’s time for body surfing. Playa de La Caleta is without a doubt the most splendid beach in northern La Gomera. The waves here are much calmer than that of its neighbor, Playa de Hermigua. However, still practice caution as even this wind-protected cove can have harsh currents. This coastal charmer is a favorite amongst locals and a growing number of tourists. It is still very much secluded, though, so there is no need to worry about overcrowding. Visitors can admire the vistas of the beach and even the majestic Mount Teide in Tenerife. They can also have a meal with family and friends in the picnic areas here. During summers, a small bar opens and offer delicious fresh fish. To get to La Gomera, tourists must first reach Puerto de Los Cristianos in Tenerife. From the port to San Sebastián de La Gomera, they must ride either the Fred Olsen or Naviera Armas ferries. Once in the island’s capital, they must take bus line 2 which stops at Hermigua. The travel time is less than 30 minutes, and there’s almost an hourly trip. On Sundays and holidays, there are fewer trips. When in Hermigua, tourists need not choose between rural and coastal views. Upcountry accommodations don’t only have mountainscapes; the Atlantic can be seen too. This is also the case for the beachside rentals. Aside from the seascapes, the views of the rural areas and massifs are also breathtaking. Hotel Rural Casa Los Herrera has marvelous views and excellent amenities too. This is perfect for those who want comfort, convenience, and the sights. There’s the outdoor pool where the Nuestra Senora de La Encarnacion Church can be admired. The town made more remarkable by palms and terraced fields can also be viewed here. From the other side of the roof deck, the Atlantic can also be seen. This renovated 19th-century house is of rustic style. It has decors that match well with its wooden doors and floors. All rooms have flat-screen satellite TV and a seating area. There’s also has a bar and restaurant just next to the hotel. If visitors prefer a holiday home, Casa Rural Llano Campo is a great option. It’s on the rural side of the municipality, but it’s also only a quick 5-minute drive from the beach and only 12km to Garajonay Nature Reserve. The complex has houses with 1 or 2 bedrooms and bathrooms. Both have a seating area with a flat-screen TV, radio, and telephone. They also have a kitchen with a microwave, oven, coffee maker, and kitchenware. The Casa Rural Maria sits on an oceanfront mountain slope. It, therefore, is looking down on the shoreline and the village below. It also has a striking view of the Mount Teide in Tenerife. This former barn is only 10-minutes-walk away from the beach. With its fully-equipped kitchen and dining area, guests can treat it their second home. They can also get comfy on the living room sofa bed while watching shows using the satellite TV. Another great option is the Casa Luz. Like the prior, it’s also on a mountain slope with vistas of the sea, the village, and Mount Teide. The apartment is contemporary but still very Canarian – whitewashed and uncomplicated. It also has all the necessities such as seating and dining areas and a fully-equipped kitchen. With a thriving agriculture sector, Hermigua is not one to have a mediocre food industry. Surely, if the municipality is producing it, they should be making delicious courses out of it. Expect lovely plates of vibrant Canarian dishes with a hint of other cuisines. Obsess over their oil-based Mojo Canarios present in every Canary table. Chew, swallow, and make unforgettable gastronomic memories. Seafood and other kinds of meat are the staple of Canarian dishes. What makes them so tasty and colorful, though, are fruits and vegetables. Gone are the days when these crops took the back seat. More and more vegan or vegetarian restaurants are opening in the archipelago. Plenty of the meat-serving restaurants are now offering plant-based dishes too. Known as the best in the municipality, Las Chacaras is most definitely a must-try. Their vegetarian-friendly best-sellers are avocado salad and Ensalada tropical. For meat and dairy lovers, absolutely try their grilled goat cheese, tuna steak with a Rojo mojo, and orange glazed rabbit and duck. They are also known in the area for their heavenly sweet delights. Do try their chocolate parfait with mint, cheesecake with maple syrup, and triple chocolate cheesecake. A lovely meal by the terrace surrounded by a grand massif and accompanied by live music. It sounds like a fantastic dining experience, doesn’t it? That’s the Tasca Telemaco trademark. Their seafood hot-sellers are the catch of the day fish and lagostinas served with mojo and papas, tuna with mojo, and prawn and mushroom salad. For other meats, try their pork chops with dates and bacon, croquettes, and chicken in cider with Canarian potatoes. Herbivores are welcome here too. Munch on their vegetarian Paella, almogrote with sweet potatoes, and eggplant with palm honey. Many establishments are all about convenience and going cosmopolitan. That’s especially true for an archipelago big on tourism. So, restaurants with wild and rustic feel seem so raw and unique. Even without tasting any dish, diners know they’re in for something extraordinary. Located in the scenic Playa de La Caleta, Macondo makes diners gorge with their eyes and mouth. Aside from their uncomplicated yet delicious menu, jaw-dropping panoramas are everywhere. While waiting for the best-selling fish on a BBQ, admire the snow-capped Teide on Tenerife. Relax with the sound of the crashing waves while sipping on local wine. Or walk around with a cold beer on hand while praising the surrounding rock mountains. When hiking around Hermigua, do stop at the Bar Restaurante Camping La Vista in El Cedro for a hearty meal. It is in the middle of a national park and the crossing point of a couple of trails. The location may not be so accessible, but the food and the vistas here are well worth it. Don’t expect fineries though. It’s a very rustic and into-the-wild kind of place. Their must-trys include watercress soup, Canarian potatoes with mojo sauces, salads, and chicken, pork or goat with Canarian potatoes. Few words are not enough to describe the rural tourism of Hermigua. Its mountain ridges are tremendous, but their delicate slopes make them less intimidating. Powerful waves wallop the shoreline, yet it has one of the most serene coasts in the Canaries. Its villages are tranquil but also full of life. 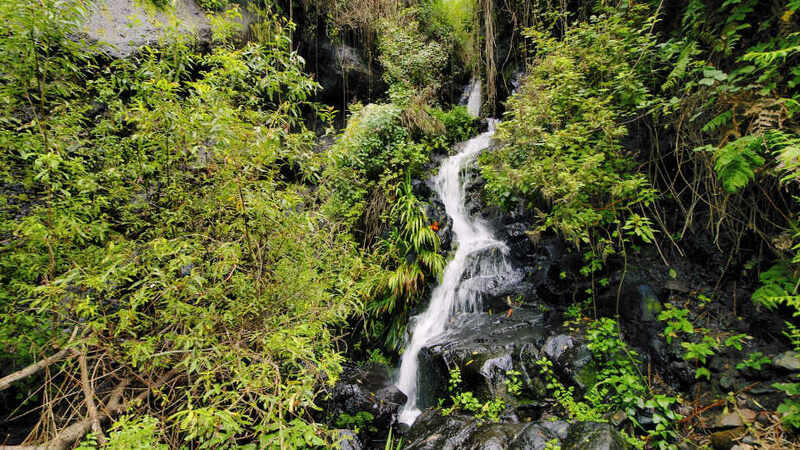 It’s an agricultural municipality, a walking holiday must-visit, and the nature lovers’ haven. Although it’s secluded, it’s still a prime tourist destination. It has many facets, known by its many titles; it is Hermigua of La Gomera.